In the spring of 2010, Superstition Review welcomed the poet Franz Wright to campus. The reading and book signing were held on Tuesday, April 20th at the Pima Auditorium (Room 230) in the Memorial Union at 7:30 pm. The following day, April 21, a public craft Q&A was held at 11:00 am at the Piper Writers House on the ASU Tempe campus. Both events were co-sponsored by the Virginia G. Piper Center for Creative Writing. 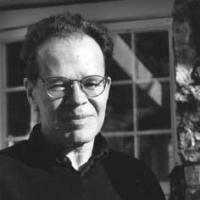 Franz Wright, born in Austria and educated at Oberlin College, received the Pulitzer Prize in 2004 for his book of poetry Walking to Martha's Vineyard. Critics have praised Wright for his poetry, stating that "Wright oscillates between direct and evasive dictions, between the barroom floor and the arts club podium, from aphoristic aside to icily poetic abstraction." The Boston Review has said of Wright's poetry, "among the most honest, haunting, and human being written today."